"Habit Wine Company is the brainchild of Actor/Winemaker Jeff Fischer who produced his first vintage in 2008 after years of making wine in his garage in Los Angeles. Fischer, who grew up in the St. Luis area, came from a wine-loving family, and was exposed to many great wines at a relatively early age. Jeff is also known for his other role as an actor in the television show American Dad, as well as the many voice over roles throughout the years. He decided to take on the challenge of creating his own label because as he says, "It's like making an indie film every year, you make it because you love it and not for the money." Jeff met winemaker, Doug Margerum, in 2008, who helped him to make his first wines under the Habit label. 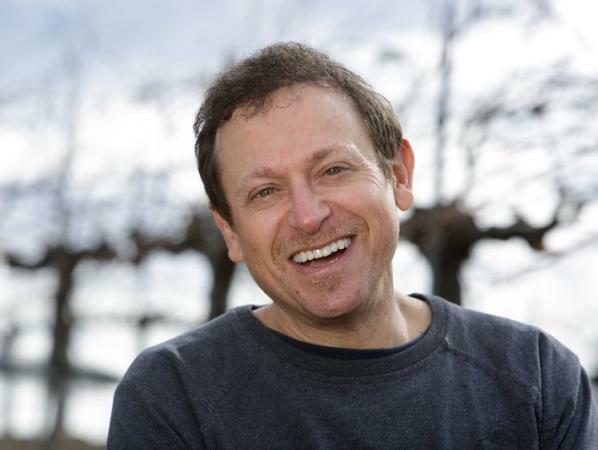 Rather than the usual Chard/Pinot/Syrah path that had become almost 'standard issue' for Santa Barbara wineries, Jeff decided to go against the grain and focus on Bordeaux varietals. His first wine was 3 barrels of a Cab Franc-based Bordeaux Blend sourced from the warmer western edge of the Santa Ynez Valley, in Happy Canyon. Following in the Bordeaux model, he aged the wine for 2 years in barrel. In 2009, he added a Sauvignon Blanc done in a fresh, clean, bright style. Following that, continuing to dance to the beat of his own drum, he added s Gruner Veltliner and Chenin Blanc, before finally expanding to make Pinot Noir and Grenache Rose. Today, Santa Barbara County remains the viticultural focus for Habit wines, including the AVA's of Happy Canyon, Santa Rita Hills and Santa Ynez. For Jeff, this area's warm days and cool nights offer the opportunity to produce wines with bright acidity, energy and vivid fruit flavors. Not to mention, it is a relatively easy commute to LA, where he still spends most of his time.